The look of liquid mercury and the excitement of a full Peruvian grey suri awaits your breeding program with Mercury Rising. 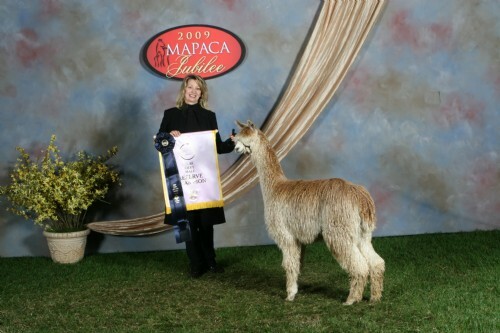 He is the son of Angelinn, a beautifully locked 6Peruvian Rufino daughter and Reserve Champion at the 2002 MaPaca Jubilee, the largest alpaca show in North America. 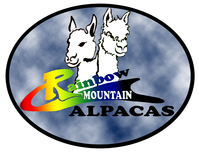 His sire is 5Peruvian Silver King, a medium silver grey full Peruvian stud out of a full Peruvian rose Grey dam, who has produced several greys. Mercury's high luster grey color, defined lock structure, and superb conformation of his typey body style makes him one to watch in the show ring and in the breeding pen. This showy male has outstanding coverage from his topknot to his toes and exhibits beautiful locks - very unusual for a grey, promising to make him the top grey herd sire in the country. Mercury won Reserve Color Champion at the 2005 AOBA National Conference Fleece Show, winning over many of the top grey and multi males in the country. 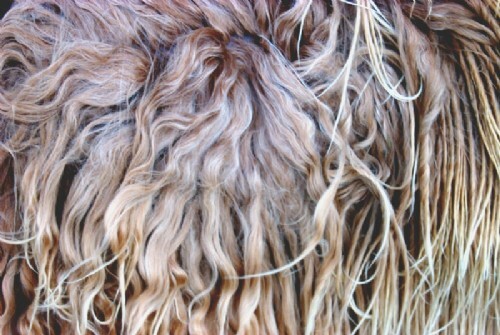 His regrowth on his fleece is beautiful, with defined locks and beautiful luster. His silver grey color is breathtaking! Topkapi is a beautiful foundation dam with a fleece the color of molten gold. S dam is a Reserve Champion, and her sire is the high luster Accoyo Uribe son, NGG Caesar. She is blessed with consistant, tiny pencil locks and breathtaking luster. SHe has grey in her background from Magnifico, and produces grey crias. What a wonderful dam and mother. 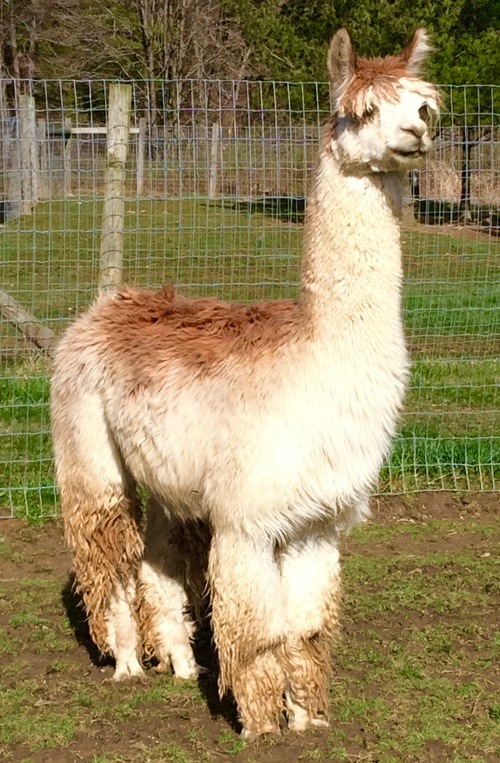 Thank you to Prarie Lake alpacas for acquiring 1/2 interest in Maurader. We are excited to announce our ownership of Marauder. Thanks to Alan and Patti Anderson for all of their input! 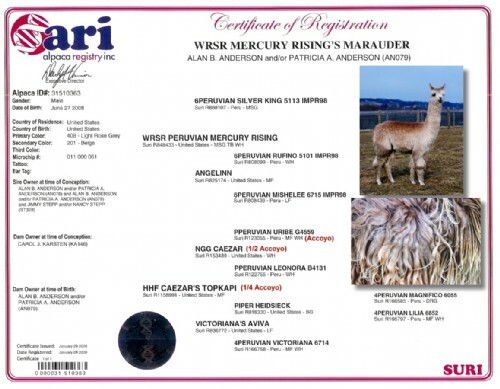 Maruader is a full Peruvian, rose grey- a rare combination!Maruader started out fawn with lighter vicuna type markings, and it appears he is actually a tuxedo rose grey. His fleece is a totally different color on the inside than the outside. Marauder's luster is beautiful, and he has flowing, dancing fleece. Hi sire, Mercury Rising, is a medium silver grey Silver King son out of a top WRSR foundation Rufino daughter.Mercury's color developed fully after he was 6 months old, as he started out with a fawn outer fleece. 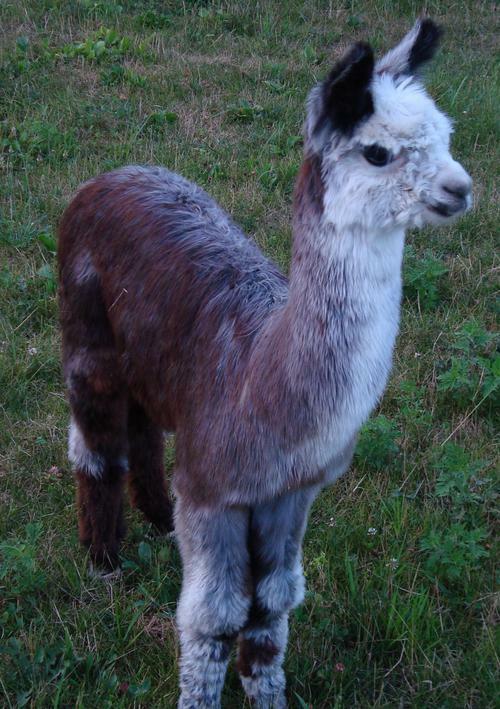 Marauder's dam, Topkapi, placed very high in large shows and her first cria was a silver grey female "Patches" who won Grey Color Champion at the 2008 Suri Network ALl Suri Fleece Show. Marauder has done well at the shows and has a great show career ahead of him. He was awared Reserve Champion- Grey Males at the 2009 MAPACA Jubilee, then second behind silver grey at the 2009 AOBA National Show. This boy is definately competitive. Marauder has great color and genetics to start your breeding program. Start planning your 2011 breeding program! 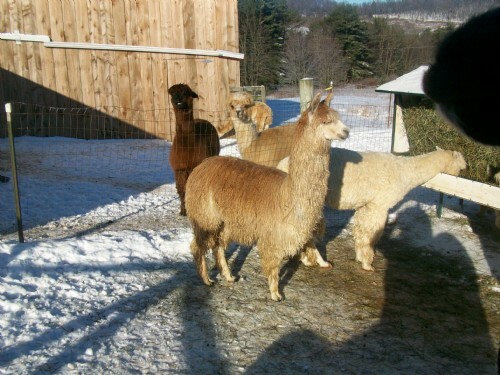 Marauder continues to put great luster and lock on each of his cria's. Get your breedings now. We do financing. Ask how we can help you start your herd.